Okay, so last week I ran, not walked to the last outdoor Exeter Farmers’ Market. I knew they would have what I’ve been hankering for the last few weeks. 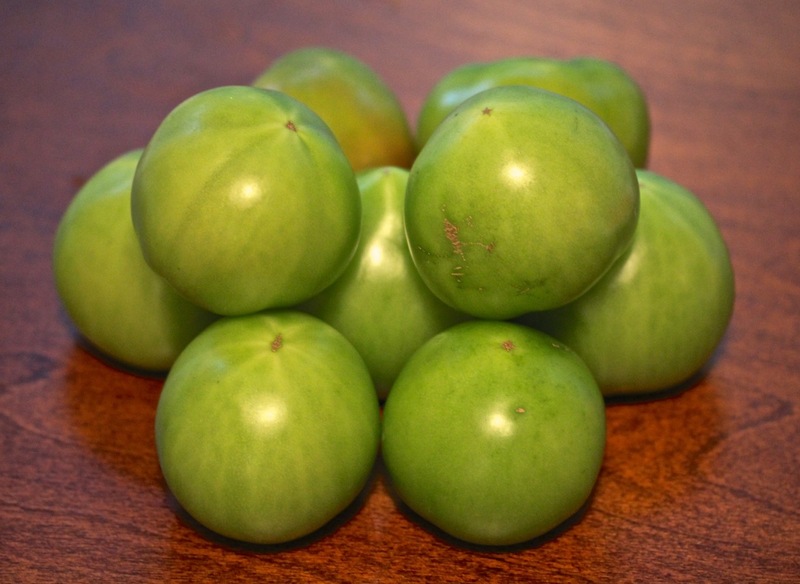 Green tomatoes are plentiful when the weather turns brisk and the tomato growing season comes to an end. My first solid food as a babe might have been green fried tomatoes. 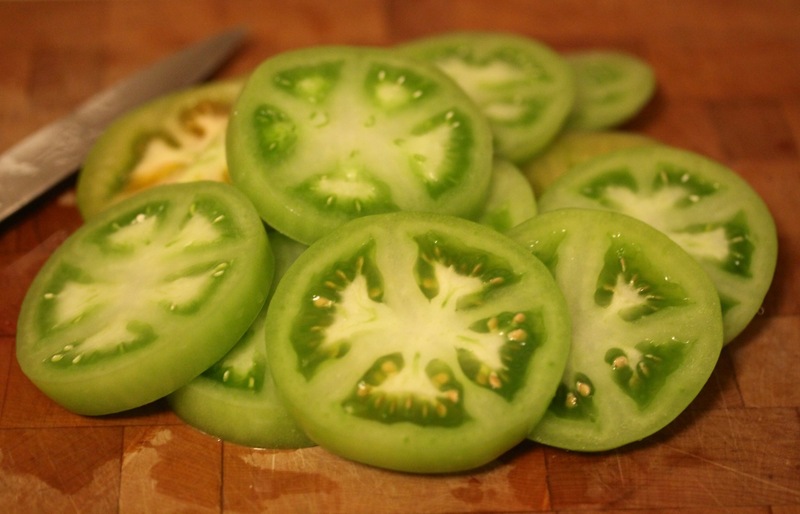 They were a summer treat as soon as the tomatoes were big enough to pick. To me they are so divine tasting, not the most nourishing food, but flashes of ‘down home’ with every bite. My mother cooked tomatoes in bacon grease. I compromised and used about three tablespoons of bacon grease for flavor (no preservatives), plus oil to make about 1/8″. 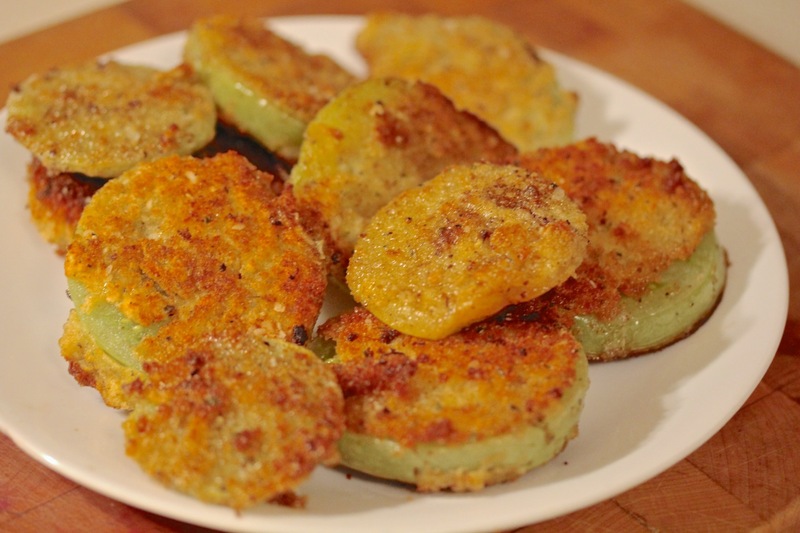 I dipped slices in an egg wash, then a good coating of seasoned flour with a bit of dry bread crumbs, fried them on each side until tender and golden brown. Drained well on a paper towel, I served them up to mister gardener. He initially turned his nose up when I put a small tomato on his plate. I forced a taste. He loved them and asked for seconds, then thirds. I wasn’t surprised. What’s not to like?